Reeducating your taste buds is an exercise in behavior modification. Salt is an additive in almost all processed foods, it and can be a source of craving for certain foods. There are several salt substitute products on the market, but most contain potassium chloride. Finding a low-potassium salt substitute is a challenge, because there are few available. 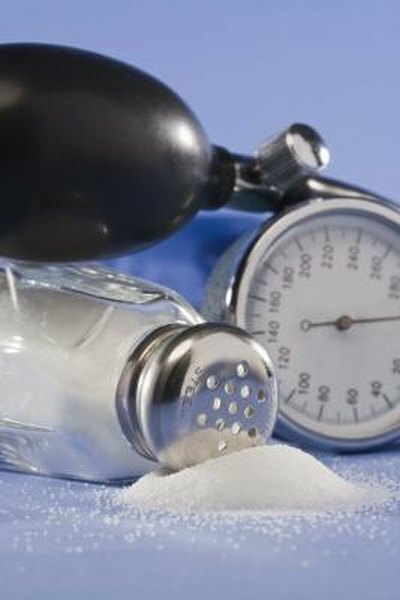 Salt substitutes are not necessarily sodium- or potassium-free, so check with your doctor before trying them if you have health issues that preclude using either substance. Morton Lite Salt contains 50 percent less sodium than regular salt because it is blended with potassium chloride. It also contains iodine, an essential nutrient. Lite Salt has less potassium than other substitutes because it is mixed with sodium chloride. You can use it in cooking, baking and as a table seasoning. Morton warns that you should not use this product if you are on a sodium- or potassium-free diet. "Consumer Reports" tested four brands of salt substitutes on their flavor attributes. The potassium-free Diamond Crystal Salt Sense was preferred by the "Consumer Reports" taste testers because it had a more natural salt flavor. Because it contains salt flakes rather than crystals, this brand contains one-third less sodium than regular salt, at 390 mg in ¼ teaspoon. If you need to avoid potassium, this is a good choice because it is potassium-free. However, before you choose this brand, check with your health care provider to determine if the sodium content works for you. Table Tasty has its origins as a seasoning for popcorn. The product does not contain sodium or potassium chloride. The manufacturer suggests using it in place of regular table salt and says it is especially well-suited to seasoning raw foods. You can add it to cooked foods at the end of preparation. The natural ingredients in this salt substitute include nutritional yeast extract, carrot, red bell pepper, onion, arrowroot, lemon, garlic, celery, dill, paprika, basil and parsley. Mrs. Dash seasoning blends are either sodium- and potassium-free or contain only tiny amounts of naturally occurring potassium. They use a combination of spices and onion, black pepper, parsley and basil. Mrs. Dash offers different salt-free herbal blends to use in specific cooking styles, including Tex-Mex, Asian and grill rubs, as well as mixes to be used on specific foods, including chicken, pork, fish and vegetables. Using potassium-free or low-potassium salt substitutes is especially important if you have specific health concerns. High potassium levels often occur when the kidneys are not working properly and are less able to get rid of potassium. Excess potassium is dangerous if you have kidney disease, diabetes with renal complications or take common medications for your heart or liver. It also can cause problems if you use over-the-counter non steroidal anti-inflammatory medications.